We want to put improvisational theatre back on the map in St. Louis, Missouri! So give us a little help..and a suggestion. 81 backers pledged $4,370 to help bring this project to life. 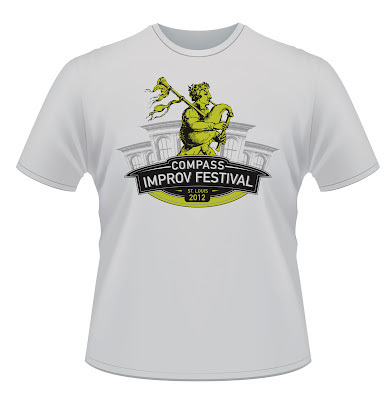 The mission of the St. Louis Compass Improv Festival is to promote and advance improvisational theater in the metro area while providing a comfortable and enjoyable environment for guest performers. The Compass Festival will strive to highlight St. Louis as a growing cultural hub and build relationships with ensembles from around the country. Visitors and participants will feel welcomed, energized and inspired by the work they see and create to the point that they become interested in participating in some capacity. The St. Louis Compass Improv Festival will give back to the community by encouraging regional economic growth and participating in charitable activities through an outreach program. St. Louis was once home to the Compass Players, an ensemble largely known for being the creators of what is now known as long-form improvisational comedy. With performers such as Del Close, Ed Asner, Alan Alda and others, the Compass Players revolutionized comedy in America. After a brief time in Chicago, many players moved the group to St. Louis where they performed at the Crystal Palace in the Gaslight Square, a booming entertainment district in the fifties and sixties. The Compass Improv Festival aims to restore some of the former glory St. Louis enjoyed in those times. There are two operating improv theaters in the area with more and more dedicated improvisors performing in this city every week. Please help us spread the word about our art form through this festival. Your contribution will directly go towards the fees associated with becoming a not-for-profit as well as securing the venues for the shows. Of course you also get some great swag and opportunities with your contribution! *Please note that these are sample renderings and the buttons and shirts will likely have a different final design. Your name will go up on our festival website as an official donor.